Here are some photos of our ancestors. Please check back periodically as we will be adding to our collection of family photos. If you have a story or comment about any picture, send them to me by email and I will try to add your story or picture to our Perrin Home Page. 1898 - The Perrins already had nine children. There would be five more children to come. Can you pick out your ancestor? 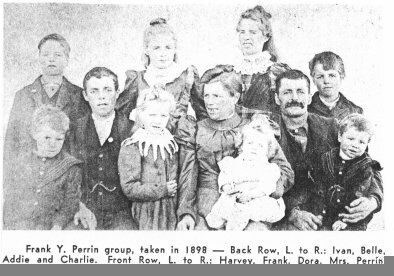 Shown in the picture is the family of Frank Perrin m Martha Law with children Irma, Hazel and Harold. 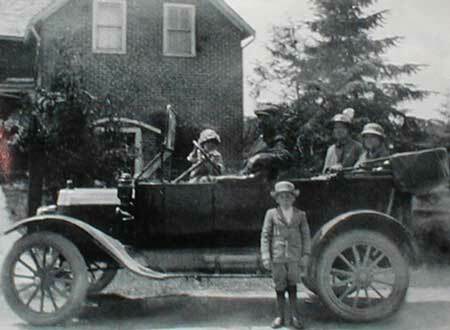 The family travelled to Ontario to pick up their new McLaughlin Buick in about 1918. Harold is standing in front. At the time. Frank and Martha were living in Senlac, Saskatchewan. This is the "Spy Hill". 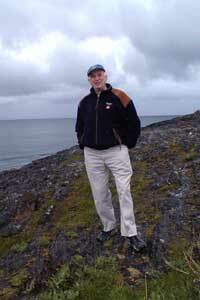 It is located a few miles from the town of Spy Hill, Saskatchewan. How did Spy Hill get it's name? There are three versions as to how the district got its name. 1. That it was so named because the Indians used the hill to "spy out" the surrounding country to watch for buffalo or enemy tribes. 3. 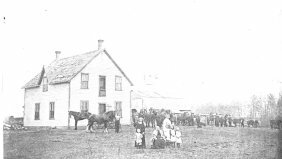 Dr. F. O. Gilbart, former Indian missionary and local medical practitioner at Spy Hill for 25 years, writes -- " Years ago a band of Cree Indians made camp at the Hill. A Sioux Indian was sent to steal some of their ponies. The Sioux was discovered by one of the Crees, who picking up a stone, killed the would-be thief. The Cree exclaimed "Kapakamaou" which means "I have killed a spy" and ever after the hill was called "Spy Hill".